The higher educational environment is changing. The Louisiana Board of Regents has recently implemented several new plans and procedures that modify the ways in which our state’s universities approach higher education. Financial support from the state continues to decrease – raising tuition costs for students – and the emergence of for-profit online institutions creates new competition for our public, non-profit universities and colleges. Throughout our history, the University of Louisiana at Monroe has provided a quality education for all prospective students in northeastern Louisiana, but new operating conditions require our mission to be redefined for the betterment of the community. As we entered a period of self-evaluation, I assembled a strategic planning committee comprised of senior administrators, faculty and staff leaders, an alumnus representative of the community, and myself. An experienced, senior-level executive on loan from the Franciscan Missionaries of Our Lady Health System and St. Francis Medical Center facilitated the process. Our objective was to develop a roadmap to guide ULM to success over the next five years regardless of the environmental conditions we encounter. From the beginning, we wanted the redefinition of our university to be driven by information, especially from those whom the changes would affect. The planning committee collected this knowledge from a wide variety of publically available sources, from relevant reports and publications, and from surveys answered by students, faculty, staff, alumni, and community members. By analyzing all the gathered information, the committee worked toward a new vision in line with the consensus, though final authority rested with me as university president. A first draft was developed during a focused two-day meeting before presentation at eighteen stakeholder meetings, giving all stakeholders the opportunity to provide input. 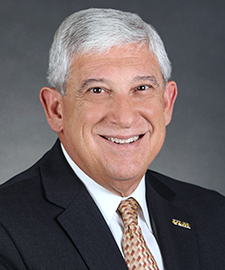 The resulting plan requires ULM to be unified in transparency, to lead through accountability, and to motivate ourselves toward adaptation – it will guide all future decisions at ULM. Objectives to advance long-term strategies focus actions in the first year, because we must act quickly in the current situation to "turn the ship," while annual updates will keep the plan relevant and up-to-date. The next step in this process requires division heads along with their staff to develop the tactical steps necessary to realize our vision and to meet our long-term objectives. With the educational landscape continuing to shift, ULM has seized the opportunity to advance and has established a bold new vision. In this time of adaptation and renovation, we ask all students, alumni, parents, faculty, staff, community members, and friends to join us in our efforts and help ULM achieve its vision as a top-performing regional university.